A good experience at any restaurant is motivation enough to invite one’s friends to enjoy the same. You would want your friends to have a similar culinary experience. 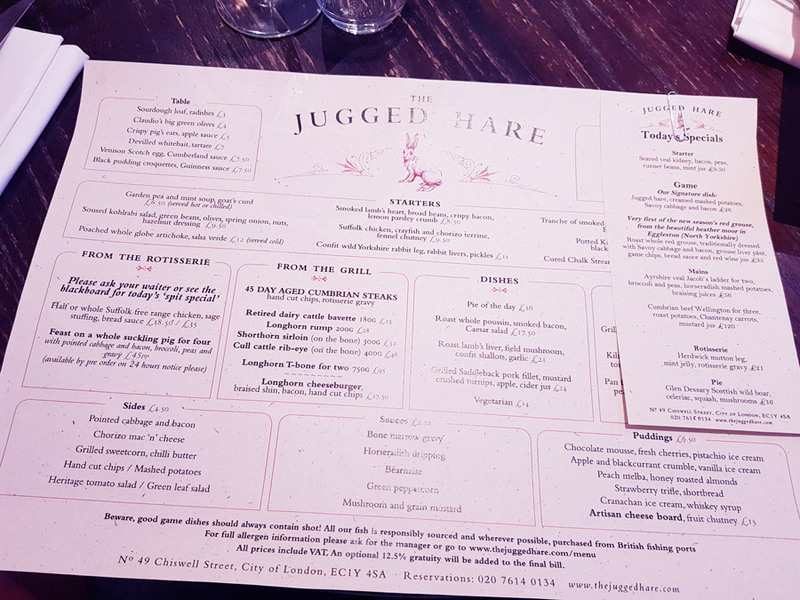 The Jugged Hare, which is located in Chiswell Street, London, was such a place for me. This is the place where you can go to enjoy excellent game servings. Having been there before, I was optimistic to have a good time when I took some friends to the restaurant to have a remarkable culinary experience. I wanted to have a repeat experience of the good food they served there too. The promise of a great meal was soon displaced by a very unsuccessful palate experience. 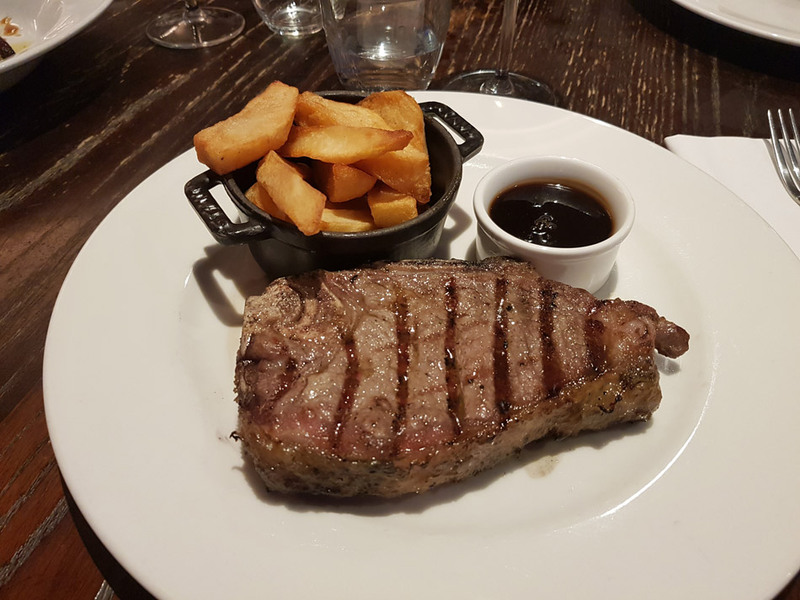 I first ordered a medium-rear steak as my main course. The waiting time was the usual average time, which was a positive at least. However the neat, cosy restaurant and pub seemed a bit less appealing as I bit into my steak. It was beautifully presented, and my taste buds were geared up for an extremely enjoyable meal. With the first bite, though, I sensed that something was off. There was nothing wrong with the meat – it was nice, and tender, but definitely not what my taste buds expected. The inside of the steak was tasty, but the grilled outer part had a very strange aftertaste.I just could not deal with the aftertaste and was forced to order something else. The outer parts were either burnt, or the grill was not cleaned properly before the steak was cooked. At £32 a steak it is not something that one should smirk at. The prices on the menu, in general, should fulfil the expectancy of an excellent meal on your plate all the time. 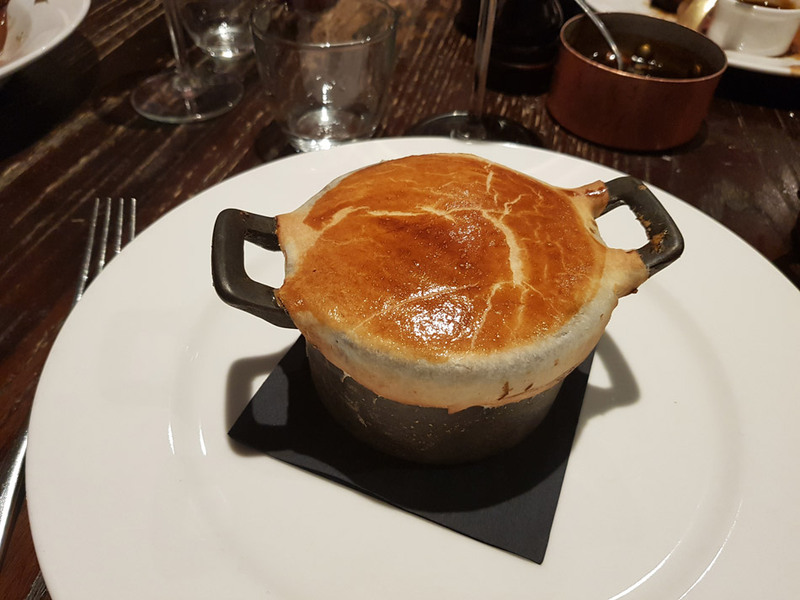 The bad experience with the steak forced me reorder – this time it was the wildboar pie. Luckily, the pie was not as expensive as the steak. One does expect, though, that here too excellence should be the key. The pie was beautifully presented with a well-baked crust. The sad truth of it is that this order was as disappointing. Even though it was reasonably tasty, and beautifully presented, it was soggy on the inside. I expected the usual pie consistency, but was deeply disappointed by the content. 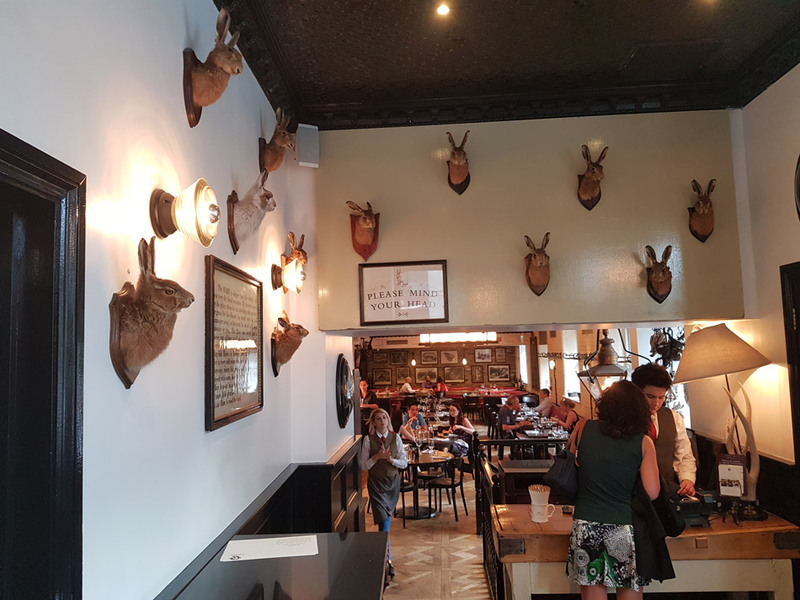 The stuffed heads of animal décor on the wall, seem to become less appealing as well. The experience made me wonder whether the restaurant/pub was under new management, and whether they had new chef in the kitchen. The pub has been around for a number of years, and has been very popular thus far, with a staple menu. 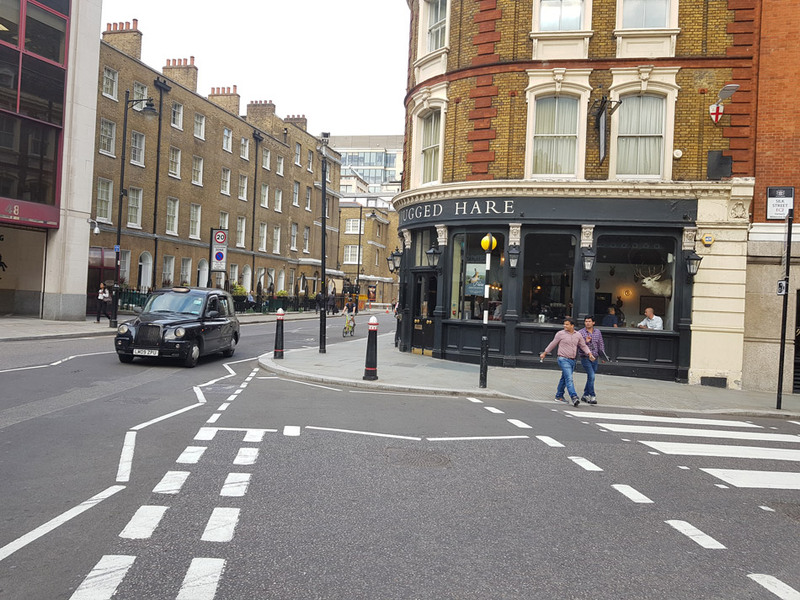 I might add that, the fact that the pub was not jam-packed at seven in the evening could be another clue that there is slacking off on the cuisine, and service. Unfortunately, one person’s bad experience can become an entire crowd to a restaurant. The best part of the evening was definitely the wine list; at least it had good wine on it. The list had a number of beautiful wines from all over the world, which does make choices quite difficult too. The prices are quite steep ranging from £3 to about £51. 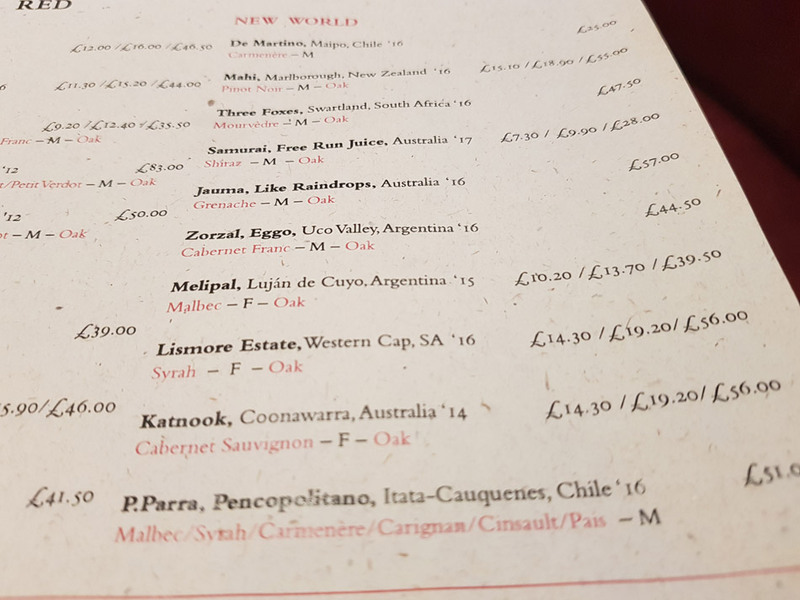 Our £39.50 Melipal wine was an excellent choice, I must say. There were a number of good wines on the list, making for excellent choices. 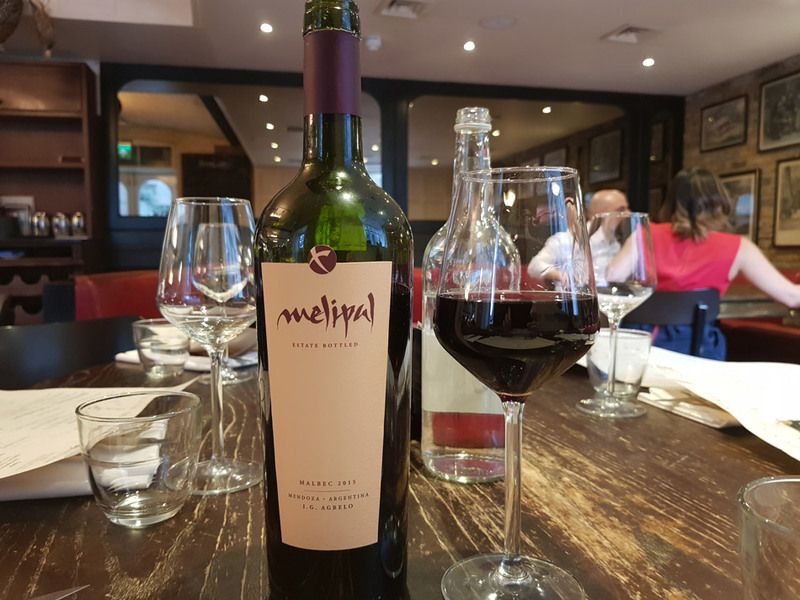 Our choice was the Melipal Estate wine from Argentina. The wine was a wonderfully full-bodied red wine. It was a bit strong, but it was excellent on the palate. As I said, it made up for the unexpected bad experience. The service that was provided did not make the experience any better. The expectation is always that the waiter always keeps a watchful eye on his table, but should not hover or be pushy. The experience with our waiter was that he was indeed too pushy and hovering over our table. A large part of one’s enjoyment of a meal is that the waiter is ready to serve, and respond when needed. I felt that he wanted to pour the wine and open another bottle without being asked to do so. This was not part of my previous experience at The Jugged Hare. 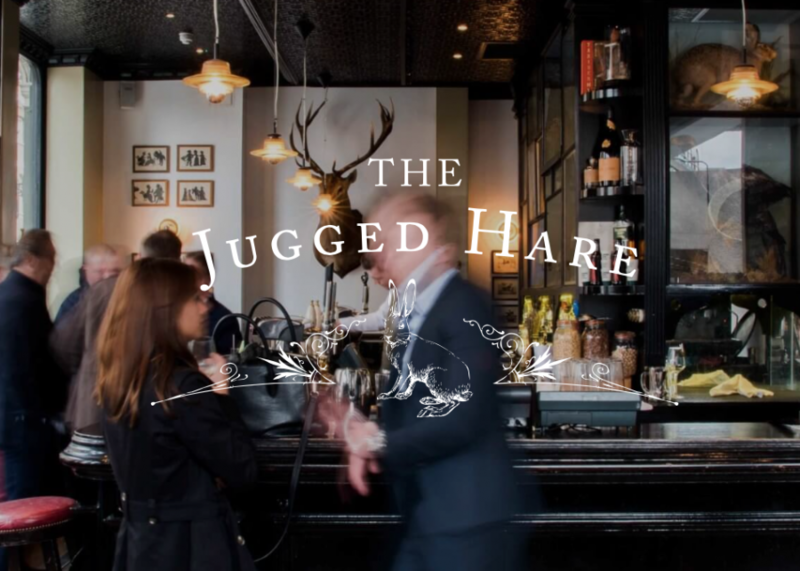 I visited The Jugged Hare twice before, and for that reason, I wished my friends to have a similar, and excellent culinary experience. I did not have a good experience because I went away with a very unsuccessful palate experience. The promise of a good meal was certainly not on the cards this time round as the food was not as good as I recall, and the service did not make up for it as well.